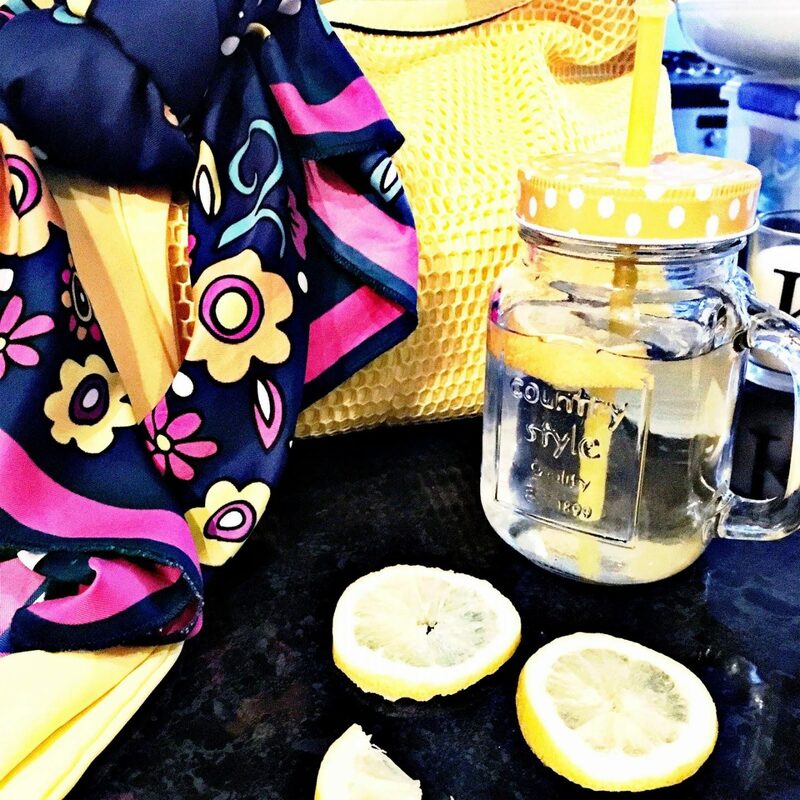 It’s time your wardrobe got a little lemon-aid! Yes, we all should have a little lemonade for when the weather gives us lemons. It’s the perfect tonic. I wore a yellow dress on my birthday (you can see it here as part of my Outfit a Day in May). Speaking of which, don’t forget to enter the birthday giveaway to win one of two Chloe-inspired bags: May Giveaway. Sorry, I digress! The dress is not new and it’s Primark and I just love all the details, and especially the cut out at the back. Enough for a flash of skin, but not too much that you can’t wear scaffolding underneath! The shape is so flattering and feminine. Having fallen out of love with Primark the last year or so, I have fallen back in love with some of the reasons that I loved it in the first place. So, it’s a massive thanks to my wardrobe clear out for reacquainting me with a dear old friend. Here’s: 10 Ways to Declutter Your Wardrobe like a Pro. Wearing it made me want to bring all sorts of colour back to my wardrobe, so I ended up teaming it with hot pink Marks & Spencer courts block heels with a delicious bit of added sparkle at the heel – like an ice cold prosecco on a sunny day. I felt really happy, confident, and summery. Gasp! Isn’t it wonderful how a pop of colour just elevates your mood! So, with that in mind and Beyonce on the radio, I’m thinking that even if the British weather is changeable (at best), there are so many ways to bring a little lemonade to every outfit. That can be a statement bag or shoe against a backdrop of black or white, or even a muted shade. So, here are a few pieces, inspired by my latest journey back to colour. It’ll take you from Dolce and Gabbana, to a pair of yellow courts for under £16.00. Even better, they cover all the big fashion SS16 trends – stripes, espadrilles, florals – and they can easily be worn at any time, but especially when you need a little lift. Are there any favourites? What do you wear when you need a little perk, we’d love to know. If you’d like to follow our blog, you can join us with Bloglovin‘. Also, don’t forget to enter our Birthday Bag Giveaway, where we’re giving away 2 Chloe-inspired bags.